Moving into a new home is a stressful endeavor, and for pet parents, it can seem even more challenging. When you’ve lived in a home for a long time, it’s easy to become emotionally attached to a place. This can make it hard to settle into a new home that has unfamiliar smells, different features, and which may be much smaller or larger than the last home. It takes time to settle into a new living space. While it may seem as though this aspect of moving only affects humans, dogs, too, must learn to adjust to their surroundings. 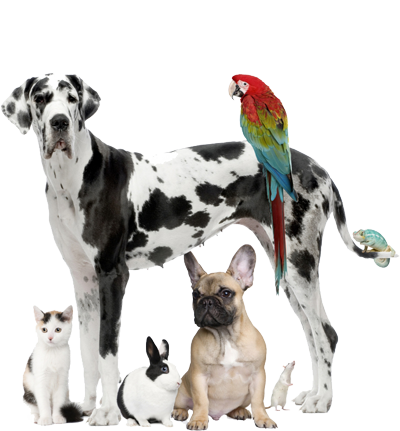 As your Top Rated Local® dog shipping and pet transportation company, our team at Animals Away knows first-hand the stresses that moving can place on a dog. 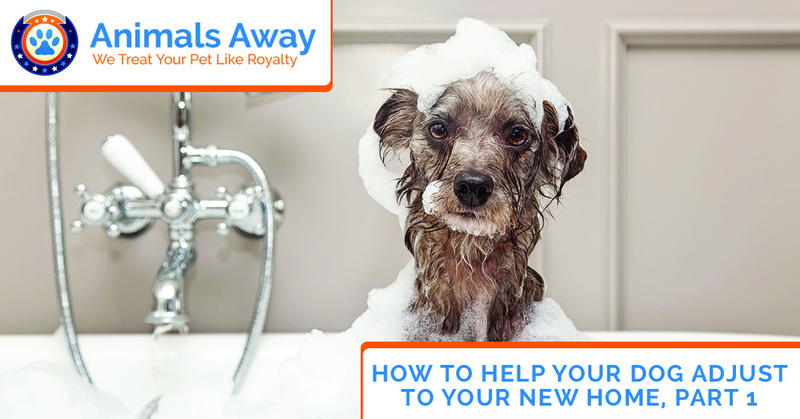 Today, let’s look at few tips for you to consider that may help you help your precious pup adjust to their new home. Packing and moving require a lot of your time, which can interfere with the time you spend with your furry friend. When your dog is trying to adjust to a new home, it’s good to give them extra love and attention to comfort them and help them feel that everything will be OK. Spend extra time playing with them in the house and in the yard, take walks to explore the new neighborhood and to meet new puppy friends, and play at the neighborhood park. This will introduce your dog to all the new scents and sounds to help them become familiar with the new area. 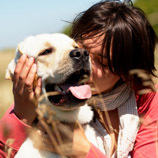 Spending quality time with your pup will help them feel a sense of normalcy in the midst of so much unfamiliarity. Dogs, like humans, are creatures of habit. A move, however, can disrupt your everyday routines which can contribute to your dog feeling stressed and anxious during the moving process. It can be difficult, but it’s incredibly important to keep as many routines and patterns as possible during this time. 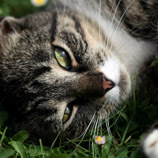 If you wake up, let your dog out, feed them, and play with them in the yard before heading off to work, you’ll want to uphold this routine during the move, and once you have moved into your new dwelling. Doing so may make other changes easier for your dog to handle. 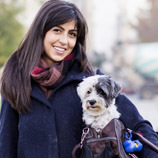 Your dog will likely feel much more comfortable in his or her new surroundings while you’re there with them, but that could be another matter when you leave the house. Dogs are sensitive to places and surroundings, and may need help feeling safe and comfortable in their new home. While you can’t be there with them all the time, there are steps you can take to make them more comfortable when you leave. Take your pup with you when you leave for the first few days. Begin leaving them at home for short periods of time, at first, and gradually work up to leaving them for longer times. Always leave them with something that is familiar and comforting — a toy, a blanket, a piece of clothing that holds your scent, and treats. KONG® toys make excellent puzzle toys that involve the use of treats, which can keep your dog busy while you’re away. Leave the television or music on for them to drown out the silence and other noises they may hear from in and around the home. If they are kennel-trained, make their kennel space comfortable with familiar items, and place it in an open room such as a living room or kitchen, and near a window or sliding glass door, if possible. Be patient with them. They may display unusual destructive behaviors while you’re gone as a response to feeling scared, stressed, and alone in an unfamiliar place. If you live with other people or family members, take turns staying home with your dog for the first week or so after your move. If you’ll be moving across town, to a new state, or to a whole new country, call Animals Away to request a dog shipping quote. Our professional, experienced team can make transporting your dog completely streamlined with our door-to-door transportation services. Call us today to learn more! Be sure to join us for part two to learn more ways you can help your dog adjust to their new home.